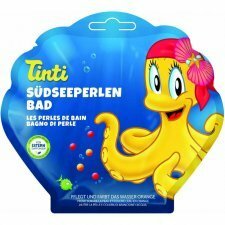 Tinti is a German company that makes the child bath and shower in an unforgettable experience. 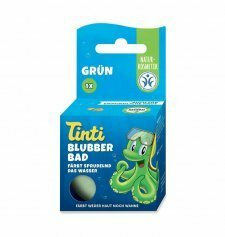 Tinti produces different types of games bath with natural colors made from extracts of flowers and plants completely harmless to health and children's skin to keep them entertained at bath and pass this time faster. 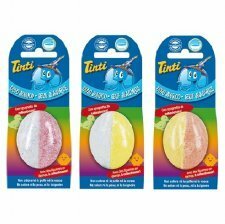 Now colour really does come into your bath – simply add the tablet to the water, watch the play of colour and then have great fun in your colourful bathwater. 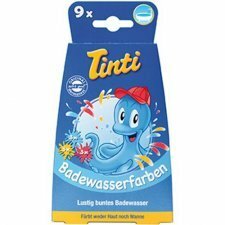 By the way, really wild water lovers mix the colours together! Well I never! What's that crackling and popping? 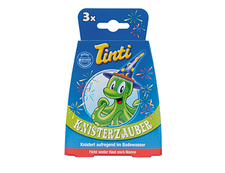 There's no doubt about it: with crackling bath in your bathwater you will make much more noise and your bath time has never been this magical before! Whether it’s everything at once or just a little at a time - it will be the craziest tub party of your life. 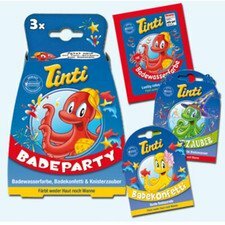 With colour, more crackling and more fun in the bath tub - this has everything that you need to have a great party in your bath tub! Novice magician Taps will call: Sim salabim! 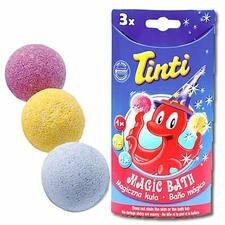 Then you will make a fun surprise appear by magic from every mysterious bath ball in the lovely colourful water. 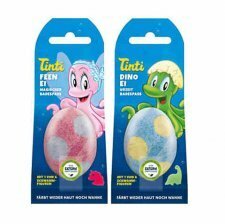 Colours the water pink (Fairy egg) or turquoise (Dino egg) and conjures up a fun sponge figure to play with and to collect. Add the egg to the bathwater. rinse the tub with warm water immediately after use. Does noit Stain the sking or the bath tub. Dermatologically tested. 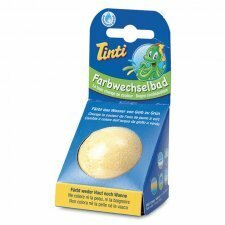 Gorgoglio bath, wash the skin and color the water of the green tub. 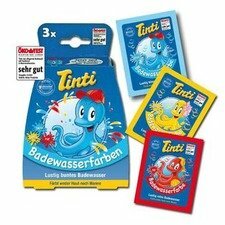 Let the yellow and red bath pearls roll around and watch them dissolve, colouring that water orange! Can you feel the pearls soften and nourish your skin?